Providing inspiring, educational, fun and safe travel to Israel is our core mission and our passion. Since 1956, BBYO has been sharing the power of a summer in Israel with Jewish teens from around the world — and today, Israel remains at the heart of BBYO Passport programming. Discover why travel to Israel for high school-age teens is our priority. We believe, and studies have shown, that a multi-week experience in Israel during high school has a profound impact on the development of long term Jewish identity. There is a good reason why this is true. The miracle of modern Israel’s re-emergence has resulted in a new and dynamic Jewish society. The richness of life in Israel today – in all of its many colorful forms – presents Jewish teens with a unique perspective on their own connection to Judaism and the larger Jewish world around them. This type of experience can only be found in Israel, and when these identity-building connections are made during the teenage years, the meaning is especially lasting. An experience in Israel is about 3,000+ years of Jewish history coming alive in a way that a classroom can never achieve. The BBYO Passport program is based on the notion that informal education through active touring is the best way to convey the richness and modern implications of Jewish history in Israel. Passport participants cover the spectrum of the Jewish people’s development in Israel – from the days of the Bible, to the Talmudic ages, and through the emergence of modern Zionism in our own times. Israel presents a unique opportunity to walk in the footsteps of our ancestors, and make a personal connection to the ongoing story of the Jewish People. We at BBYO, believe that a thriving modern Israel is essential to the continuity of the Jewish People. 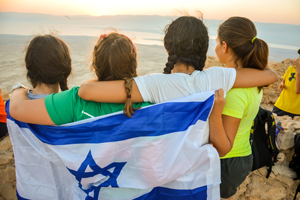 As a non-denominational and non-political program, we take pride that the Passport to Israel experience is designed to expose teens to the complexities of political life in today’s Israel. Participants will be challenged to consider different points of view and different ways to interpreting the contemporary meaning of Zionism. However, tying all of this debate and discussion together is our common unity in support of Israel and the Israeli people. We understand the unique transformational power of Israel on teen development. We also understand that many parents and teens are considering waiting until college for the 10-day Birthright Israel program. Birthright Israel has updated their eligibility rules. High school-age teens who travel to Israel with BBYO can now also return as a young adult using the Birthright Israel gift. BBYO Passport programs in Israel range from three to four weeks. 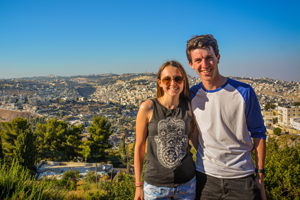 During the course of this experience, Passport participants cover every region of Israel, and they gain a richer connection to Jewish history, spirituality, and modern culture. BBYO Passport programs in Israel are open to high school age teens – current 9th through 12th graders. While experiencing Israel at any age can be a meaningful journey, we believe that a high school-age program is a uniquely powerful moment to visit Israel from a developmental perspective. By the time today’s teens reach college age years, their priorities may have started to shift, and they can be less receptive to the value of an Israel experience. There are enormous scholarship opportunities for high school age Israel travel. These scholarship funds are offered by BBYO International, local federations, and synagogues. Often times these scholarships can significantly reduce the financial cost of an Israel trip. We encourage you to explore these scholarship opportunities aggressively and take advantage of our no-risk registration policy. However, no matter what the final cost for your family, we hope you will agree with us, that a high school-age Israel trip is not like any other summer travel program. It is an investment in the future!